Project a smooth demeanor with the dapper look of the Salvatore Ferragamo® Daniel Oxford. Leather lace-up front tie closure connected through unreinforced eyelets. Durable leather outsole and square heel with rubber tap. 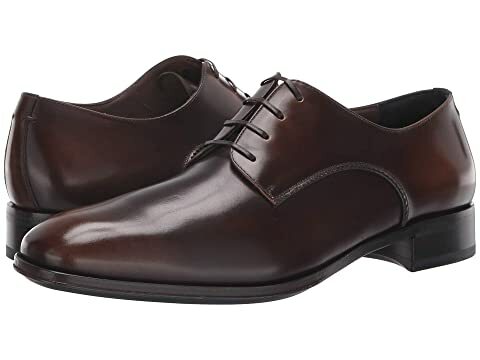 We can't currently find any similar items for the Daniel Oxford by Salvatore Ferragamo. Sorry!